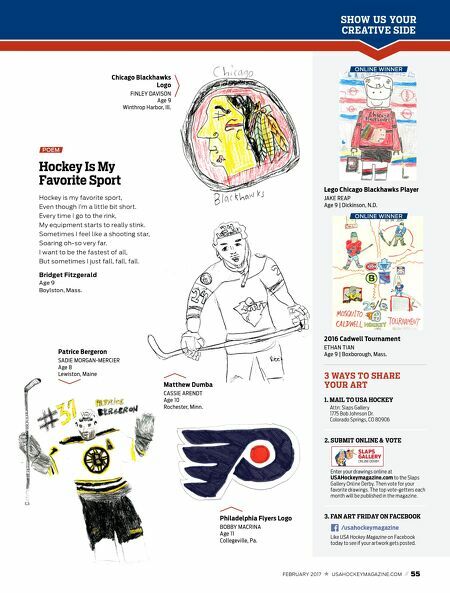 54 // FEBRUARY 2017 USAHOCKEYMAGAZINE.COM S L A PS GA L L E RY Carey Price ELLIOTT MAGGIOTTO Age 8 San Francisco Henrik Lundqvist COLTEN GERKEN Age 13 Anchorage, Alaska Jonathan Toews JACK McGUFFAGE Age 10 Chicago New York Rangers Logo RYAN SIMONE Age 10 Falmouth, Mass. NHL Puck PETER ARENDT Age 5 Rochester, Minn. Hockey Rink HUDSON BOHL Age 6 St. Louis Park, Minn. 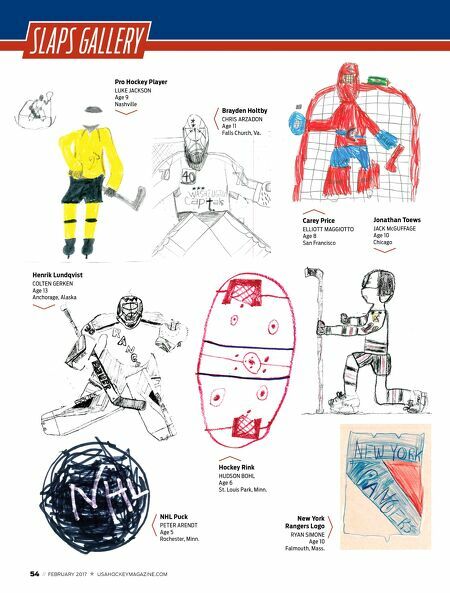 Pro Hockey Player LUKE JACKSON Age 9 Nashville Brayden Holtby CHRIS ARZADON Age 11 Falls Church, Va.